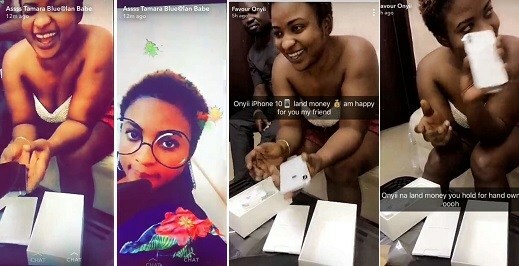 A Nigerian Lady, identified as Favour Onyii has said she is proudly the first person to own the new iPhone X in Nigeria, and her friends are celebrating her on Social Media. Apple officially released the iPhone X, on the 3rd of November as announced during the Apple Event few months back. 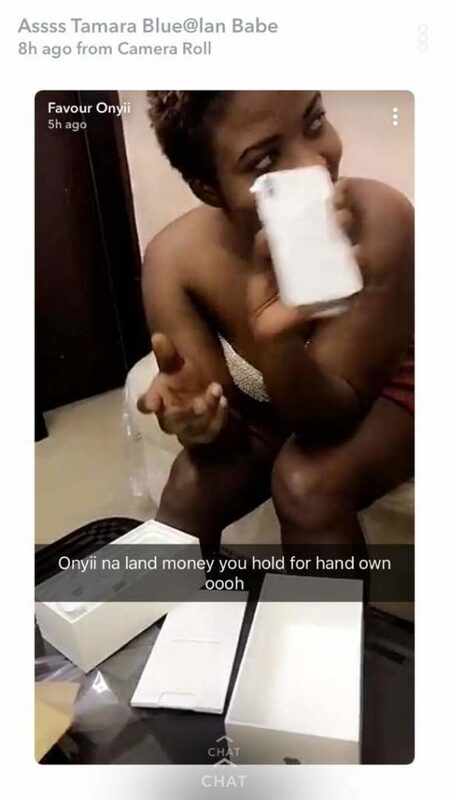 The phone was reportedly purchased for her by her bae. Her friends took to their various snapchat accounts to celebrate her. 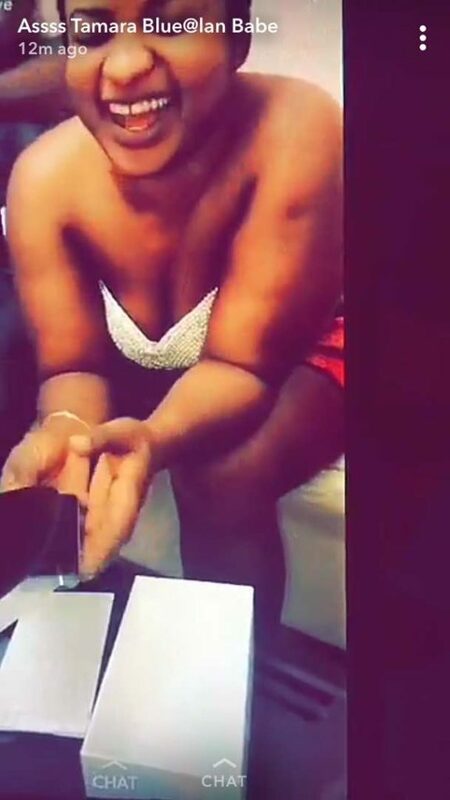 The phone according to her cost a whooping N2million naira. 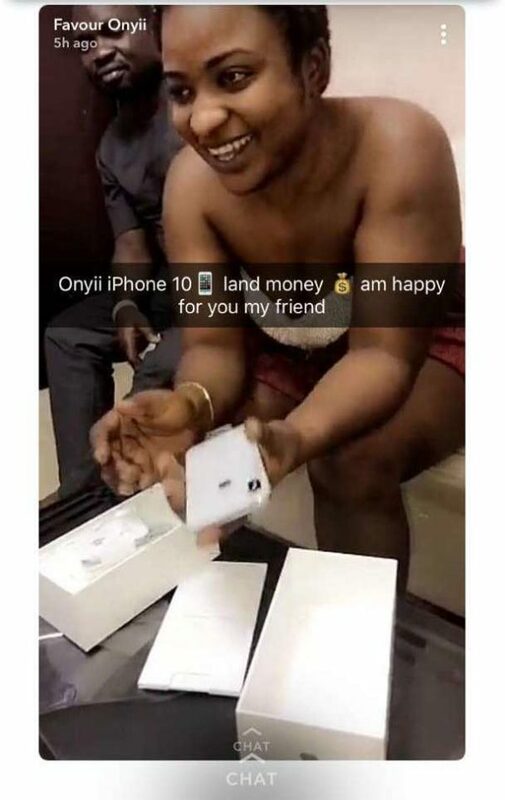 But a quick visit to Jumia revealed that to purchase a brand new iPhone X costs N580,000… Congratulations to her though! 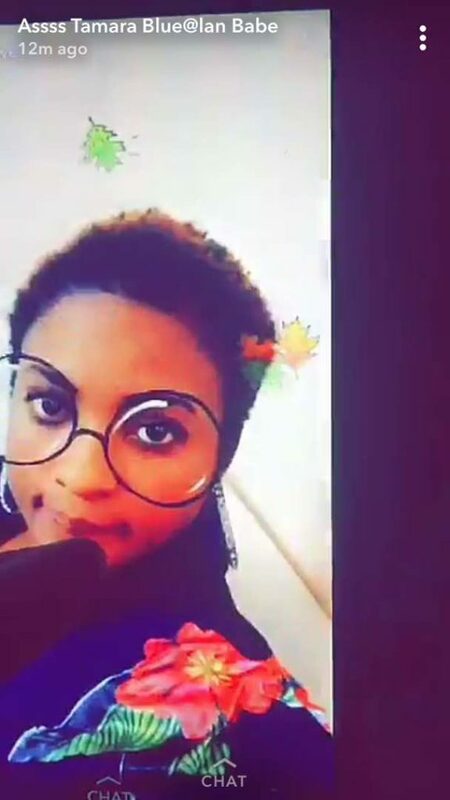 Her friends then called out ‘Yahoo Boys’ to beat that, as they took to their various snapchat accounts to celebrate her. 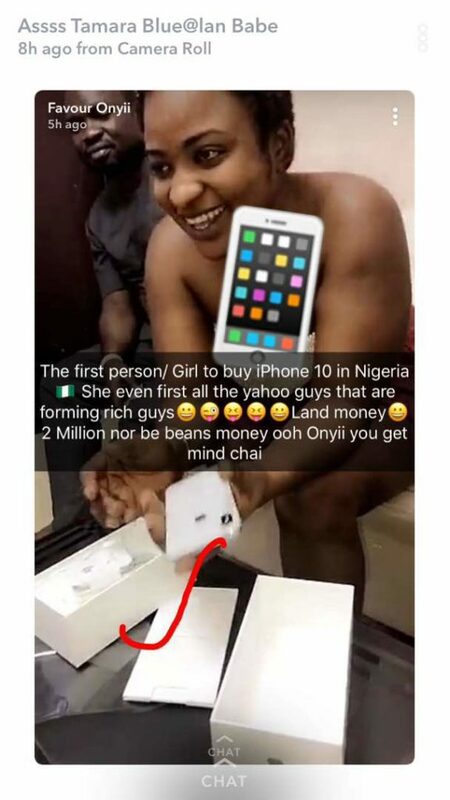 “The first Person/Girl to buy Iphone x in Nigeria, She even first yahoo guys that are forming rich Guys, Land Money, 2 Million nor be beans oo onyi you get mind sha. Chai”, her friend wrote on Snapchat.